*Update: November 2017. It’s been 10 months since I wrote this review, and since then the secondary market has slowed down significantly. My personal expectations of future returns is lower too. 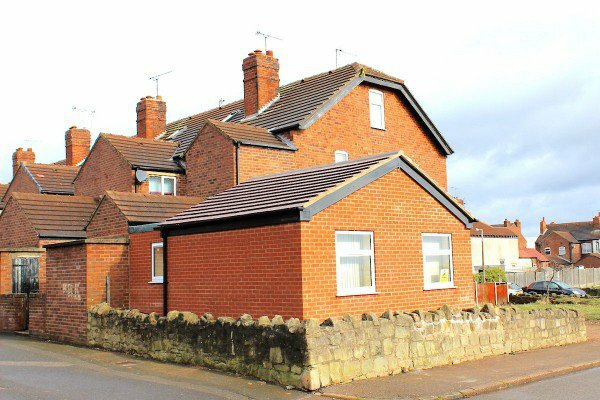 I’m still waiting upon any of my ‘buy-to-sell’ properties selling although it seems like several have been in the final stages for some time now. Property Moose is one of the UK’s largest Property Crowdfunding platforms. It allows investors to buy shares of a property and receive ongoing rental payments and capital appreciation. For each property investment an SPV (Special Purpose Vehicle) is created. This is a distinct UK limited company which handles all rental income, costs, and has complete ownership of the underlying property. Along with Property Moose, there are 2 other large property crowdfunding platforms: Property Partner and The House Crowd. What makes Property Moose different is its focus on low cost, undervalued Northern/ Midlands properties with high rental yields. They occasionally have more complex leveraged investments and property secured lending, and you manually select which individual projects to invest in. Expected Returns: Property Equity: 10%+ ‘projected returns’, PMF Loans: 8%-10% fixed. Sell Out: Via Secondary Market. The seller sets price and has no fee, but the buyer pays a 2% fee. Property Moose is one of my favourite alternative finance platforms, and my largest ‘P2P’ investment. I think that it appeals to the ‘value investor’ in me: buying undervalued, high yield properties that don’t rely on house price rises to turn a profit. I think there are great opportunities to make a return and some of the projects are quite exciting. The secondary market, which offers a way to sell your investments early, was a very welcome addition when they added it towards the end of 2016. An email notification is sent out when there is a new investment opportunity. There is no set time for new project launches and you sometimes have to be quick to invest. By quick, not MoneyThing/Collateral quick (e.g. <5 minutes! ), but sometimes the most popular investments sell within the hour. You can add new funds instantly by card payment which certainly makes things quicker. The horizontal x-axis is the number of hours since launch. The vertical y-axis is the funding %. 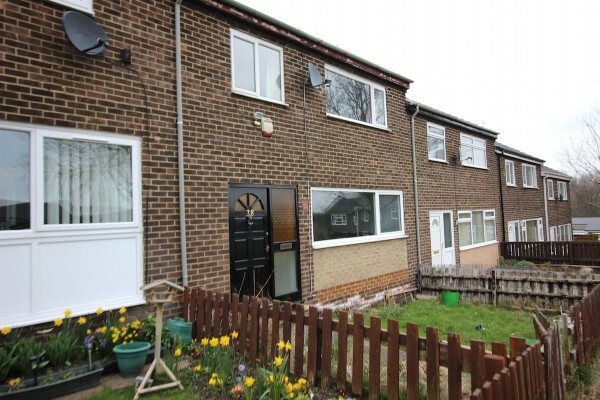 I tracked the price once an hour, so if a property was released at 10.45am I’ll only record the initial funding % at 11am (hence those that appear to start at 20% funded above). You can list your investments for resale on the secondary market a while after they are fully funded. This is a manual process, so sometimes it’s quick, other times it takes a month or more. There is a 2% fee for buyers, but no fee for sellers. You can set whatever price you like and it gives you a valuation as a guideline. In this example, if I wanted to sell quickly I’d price at £11.29. If I was prepared to wait a little longer for a higher price I’d set it just below one of the other existing offers. As mentioned above, investors have to pay a 2% fee on secondary market purchases. Buyers may have to pay an additional 0.5% stamp duty, but only if the total purchase price is over £1,000. These fees are the same as competitor Property Partner, though Property Partner always add the 0.5% stamp duty regardless of purchase amount. One important thing to note is that all shares were originally listed at £10, £100 (just PMF A) or £500 (the oldest listings). 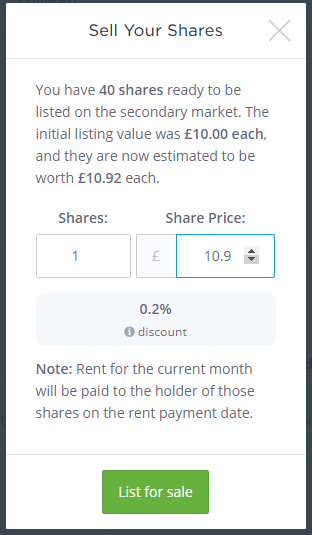 If you see a share listed at £12.50 that has already seen a 25% rise from its original price. It’s advisable to do your own common sense calculations before buying as some of the offers are unreasonable. For example, the cheapest PMF A loan part as I write is offered at £108.50, which with fees becomes £110.67. This is a straight forward loan paying 8% interest which pays all interest and capital at the end of 12 months. At the end of the 12 month period, the loan will just pay back £108 for every loan part, so if anyone buys this now on the secondary market they would be guaranteed to lose money. As in the screenshot above for selling, I like to look at the spread of offers before making a purchase. If there’s an offer at £10 and a huge gap until £11.50 perhaps that is someone who is willing to discount to make a quick sale to withdraw cash. I am tempted to buy those when I see them. You can make cash deposits with a debit card, which is a major benefit over most P2P platforms which just have bank transfer. This means that your deposits are instant, rather than having to wait hours for someone to manually confirm your deposit for it to show up in your account: very frustrating when an investment you want is funding too quickly. Cash withdrawals still appear to be manually processed and take more time. I’ve noticed if you make one withdrawal request, then you are unable to make a second additional request until the first is processed. There’s a live web chat which I’ve used to get in touch with Property Moose when I’ve had questions. The assistants on the live chat don’t always have the answers, and sometimes I feel like my questions get lost when they say they’ll ask someone who knows to get back to me via email. Nevertheless, I’ve asked a lot of questions and always had an answer in the end even if it took a bit of persistence! Each investor has a profile, with the option to upload a picture and show stats on your investments and capital returns. When you look at any investment you can see who else has invested and can view their profile. There is the option to ‘follow others’ and be followed. I don’t think that following someone does anything in practice, at least when I experimented with it. The properties are mainly low cost single unit properties and go through all the typical difficulties of finding and retaining good tenants. If things go to plan, you get paid a monthly dividend on the 1st of the month from the previous month’s rental income. Sometimes there are unexpected difficulties with tenants. For this reason it’s sensible to spread out your investment over a number of different properties to diversify the risk of vacancies or tenant problems. Property Moose go to some length to ensure that the platform can be used by Muslims who want to make Sharia compliant investments. The majority of peer to peer platforms (I assume) are not Sharia compliant as they charge direct interest. On Property Moose most of the investments charge rent instead. There is a 3% cashback that is paid in a similar way to interest while properties are funding, to encourage earlier investment. You can switch this off on the settings page. There are loans marked with ‘PMF codes’ that pay interest but you can avoid these by just not investing in them. These are the most common type of property investments available. Important things to look for are the history of rental payments (for existing properties), projected rental yield and expected price growth. If you are looking to buy something on the secondary market, look at the price growth already priced in. All shares were originally £500 (PM SPV 1 – SPV 31), £100 (PMF A) or £10 (everything else). This makes it easy to see the historical capital growth: a share priced at £10.57 has grown 5.7% in value: ( (10.57/10) – 1 ) * 100%. I would then look through the description to get the property valuation and divide this by the lowest share price to get the remaining expected capital growth. A HMO is a ‘House in Multiple Occupation’. This is where multiple households live in the same property, with shared living spaces. Theoretically, renters pay lower rents (because they just have a room/bedsit) and landlords earn more (by placing several households in the same property). These sound attractive due to the potential for higher rents, but it’s higher maintenance and can be difficult to retain good tenants. In practice, some of Property Moose’s historic rental yields are less than they predicted. Perhaps for this reason we haven’t seen new HMO’s since around March 2016. A mixed use property has both a commercial and residential part. It can be difficult for traditional buyers to get mortgages for these, so theoretically they can offer a lower price, higher yield for the area. These are less numerous than the HMO’s listed on Property Moose. Property Moose needs financing to purchase discounted properties at speed from auctions. The PMF loans allow the platform to finance its own short term property purchases. The first loans were at 8%, with the most recent at 10%. Be careful when buying on secondary market: once you add in the 2% fees and possibly premiums above the original £10 or £100 listing price, you might not have as high a return as you expect. A smaller, short term ‘buy to sell’ property, with 75% of the equity offered as 9% loan with the 25% hoping for a leveraged capital gain. These are usually larger deals, ranging from £180,000 – £550,000. They potentially offer higher returns, but you’ll have to spend some time going through the documentation to understand the risks and how Property Moose intends to make a profit. Two well known UK property crowdfunding alternatives are Property Partner and The House Crowd. I use both of these too. The House Crowd has a minimum investment of £1,000 a share, which makes a well diversified portfolio difficult if you have a small overall holding. They have a wider variety of secured lending directly against individual property with rates around 9% or 10%. In contrast, Property Moose’s secured PMF loans are more opaque, used as a rolling facility to purchase unspecified property at speed for the platform itself. Property Partner tends to focus on much larger projects. Say, a £800k, 8 flat development bought at a 15% discount to breakup value and financed 50% with a BTL mortgage. In the past it had a London/ South East focus which some may feel has fallen out of fashion after Brexit and concerns over the London property market. In comparison, the rental yields listed tend to be lower than Property Moose, but as they are usually comprised of multiple individually let units the vacancy rates are likely to have lower variability. This option was included for completeness, as you will already have an opinion on this one! A REIT (pronounced “reet”) operates like an investment trust. It is a quoted company that owns and manages income-producing property, either commercial or residential. Similar to REITs/ Closed End Funds, ‘Open Ended Property Funds’ are a hands-off way to invest in property. Investors deposit money into the fund, and the fund managers use this to buy new properties. I invested in Open Ended Property Funds for a few years, right up until Brexit, and did quite nicely. Shortly after the result, there was a rush to the gate as confidence fell in these Open-End funds. Some people lost money as the funds forced discounts or prevented withdrawals completely. Investors may be quick to demand their money withdrawn, but it takes much longer to get market value on the sale of the underlying properties. One other option is the Bricklane ISA, ‘the UK’s first online property ISA’. You deposit money and it spreads it across all the existing properties in the Bricklane portfolio. Looking through the list of existing properties they list on the site, net rental yields appear lower than Property Moose, at 4.0%-4.5%. There is a one off fee of 2% and ongoing management fee of 0.85%. I am not sure how much this differs from just investing in a REIT or general Property fund, aside from having greater visibility of the properties the fund holds. Property Moose has a wide range of investments, many of which appeal to a ‘value investor’ looking for high yield and capital gains from discounted properties. The fees are quite similar to its main competitors, and at £10 the minimum investment is low enough for anyone to get involved. For new users, I would suggest to be careful when assessing opportunities: do your own % calculations for capital growth based on the numbers in the descriptions, and your own common sense sums when buying or selling on the Secondary Market based on the original listing price (£10, £100 or £500). You are an active investor in Property Moose or have been in the last 6 months. What a fantastic review and some great analysis. Love the scripted funding speed. Thanks Mark. Had a lot of fun playing about with that script! Thanks for this, have been a bit wary of the property side of P2P but now have a better understanding.